The Downtown San Leandro Community Benefit District (CBD) was formed by property owners last year to support improvements and enhanced services in Downtown San Leandro. The focus of the District’s services will be on maintenance, security, marketing, and events to support the ongoing revitalization of the Downtown area. Starting this week, CBD ambassadors will begin providing services throughout Downtown San Leandro. The ambassador program is designed to cover three distinct areas: safety, cleanliness and hospitality. Ambassadors can be easily identified by their bright green colored uniforms, which include the logo of the Downtown CBD. Ambassadors will be in the district Monday through Saturday from 7:00 a.m. until 9:30 p.m., and Sundays from 7:00 a.m. until 3:30 p.m. with additional coverage for special events within and around the district. For more information about the CBD, please contact District Manager Rezsin Gonzalez at (510) 281-0703 or rezsin@oaklandvm.com. I think this is great. I work in “Uptown” Oakland, and the local business associations have a similar ambassador program they fund. The clean up trash and leaves, and repaint mailboxes and walls if and when they get tagged. 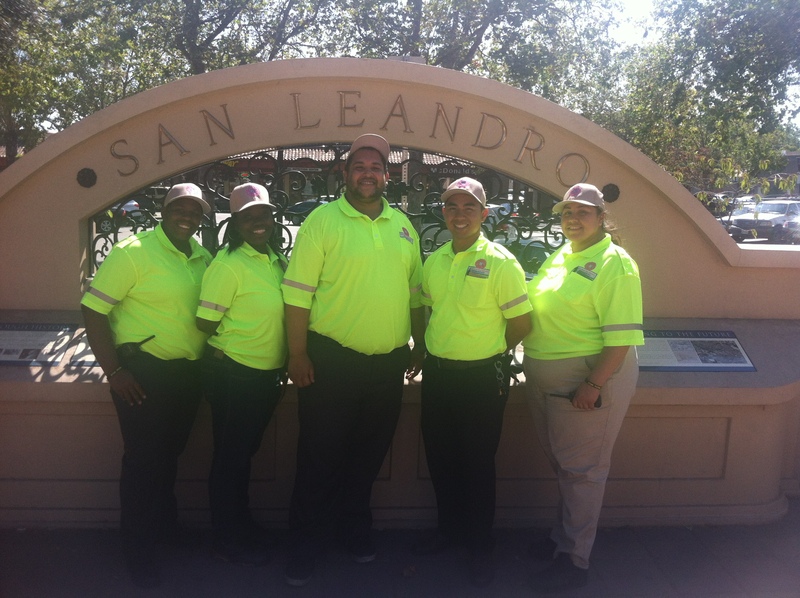 In general, it’s an extra pair of eyes and hands to help keep our hometown of San Leandro clean. We’re coming up! Could you post the names of the Ambassadors and a little info about them as individuals? That way people can get to know them better. I am a chiropractor in downtown San Leandro and there is a homeless person sleeping outside my office. I used to call Andy Hang to send an ambassador over but haven’t had any response from him the last few times I have reached out. Is there anyone else I can be in contact with to help with these matters. It freaks my patients out. I am located at 114 Parrott St. Ste D.